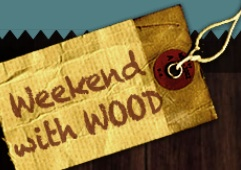 This week I’m on vacation with the family and I thought it would be the perfect time to share some of the footage I recorded at the 1st ever Weekend with WOOD earlier this year. There’s 5 videos in total, starting today with a little montage featuring the location of the conference and some of the footage you’ve seen in earlier clips. It really was a great event, and I wouldn’t hesitate to recommend it to anyone who wanted to attend (assuming it’ll happen again…which it sounds like is being planned already). For more information about who appeared at the conference as a speaker, the classes that were taught and just general information, visit the website at www.weekendwithwood.com. I was trying to download the video clips, but both clips have inside their respective link anchors. I think the should be after the link anchor end rather than before. … It is enough to keep downloading these links from working for me. I am using Google Chrome (current version) on WinXP. I didn’t try it, but it looks like the audio has the same formatting of the link. Jack is this on the website? I was just double checking the backside of the post and don’t see any issues with it. Yes, downloaded from the URL listed.